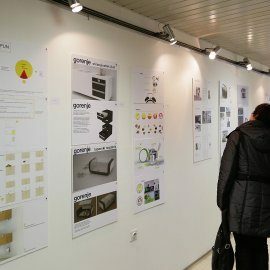 In the winter semester of the 2012/13 academic year, Gorenje held its 10th internal Gorenje Design Contest at the Ljubljana Academy of Fine Arts. 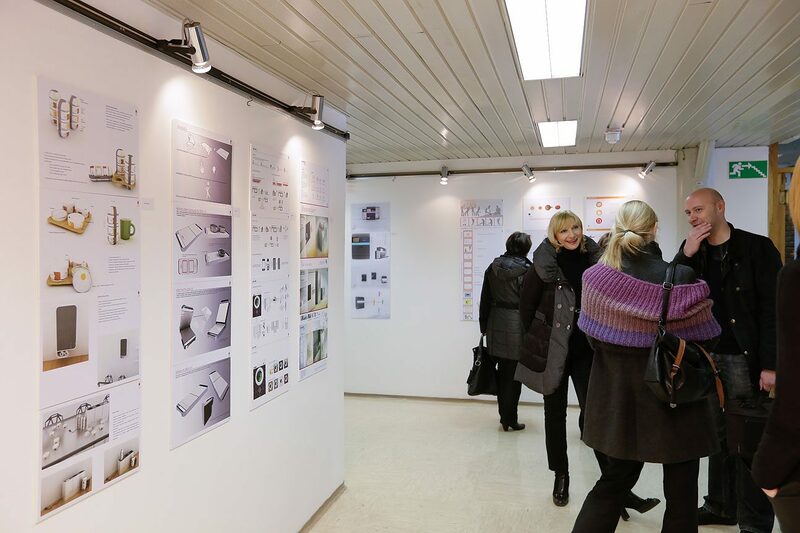 Junior (third-year) students of industrial design, mentored by Professors Vladimir Pezdirc and Janez Smerdelj, submitted 21 entries. 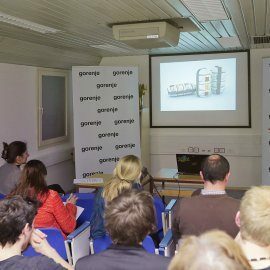 The topic of the contest, Loving Simplicity, was design of home appliances, services, and solutions for the home, which allow simple and innovative user experience in preparation and storage of food, and care for laundry and dishes, in the spirit of Gorenje's "Simplicity" philosophy. 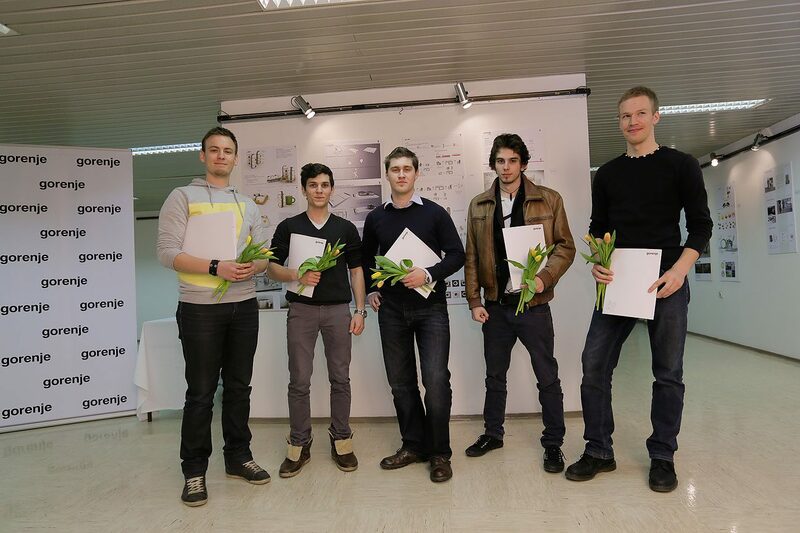 In the first round of the contest, the jury selected five finalists on February 25, 2013: Blaž Volk with the idea of an induction cooking hob; Matevž Šmuc with the idea of a fast breakfast; Matic Vihtelič's idea Gorenje TASK; Matic Maležič with idea of salt and pepper shaker; and Žan Brezec with the idea GoREnje. 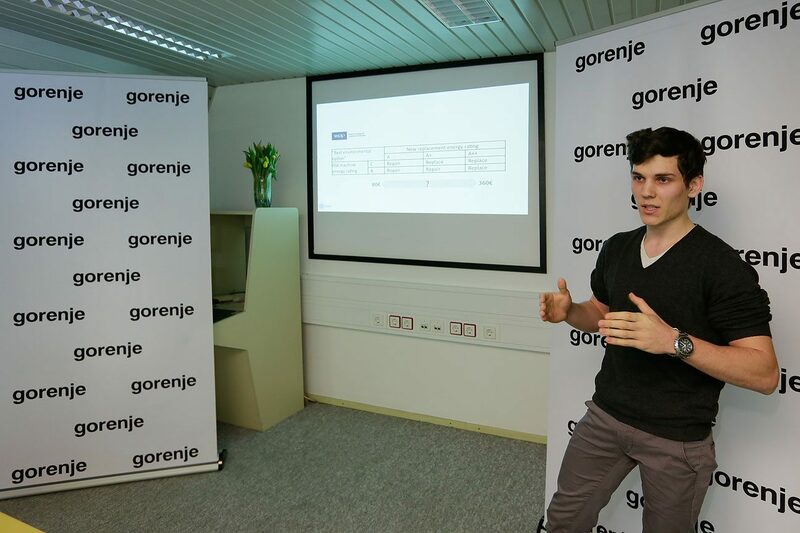 In the second round that took place on March 15, 2013 and included a public presentation, the finalists explained how they had come up with their ideas, what market research or analysis they had conducted, what kind of solution their idea proposes, what its advantages and benefits are for the users etc. to convince the jury about who is the best. 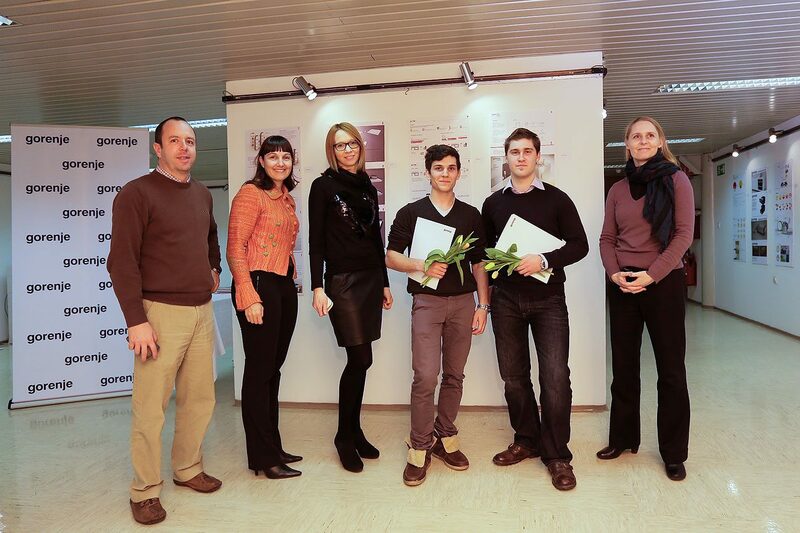 This was followed by the opening of the exhibition of all entries and an award ceremony. 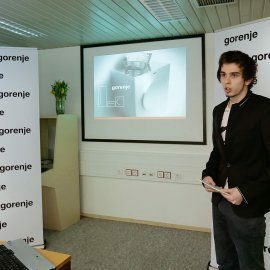 The jury decided to present the award to two entries: Matevž Šmuc's idea of fast breakfast, and Žan Brezec's idea GoREnje. 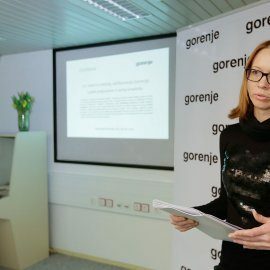 Jury chairwoman Lidija Pritržnik: "In the first round, we decided to give five finalists a chance to present their ideas live and in more detail. But we were already aware at that time which two ideas we thought had the strongest concept. 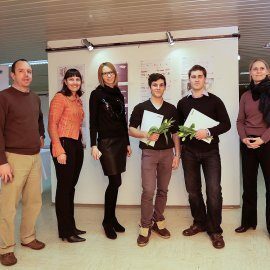 At the presentation of the finalists, the two highest-ranking designers from the first round took the spotlight again, this time with a comprehensive and interesting presentation and convincing replies to the questions raised. Both authors went beyond product design in the process of developing their ideas; rather, they approached the task in a comprehensive way, from the aspect of service design." Both won the award of a one-month training course at the Gorenje Design Studio. The Fast Breakfast idea focuses on the well-known problem prevalent in modern society: increasing number of people fail to take time for breakfast, which impairs their efficiency and health in the long run. 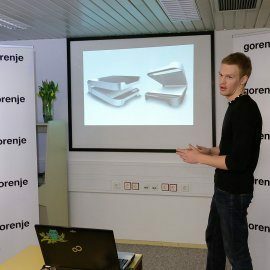 The author Matevž Šmuc convinced the jury with a comprehensively designed solution that would allow the users to have a simple, quick, and healthy breakfast. 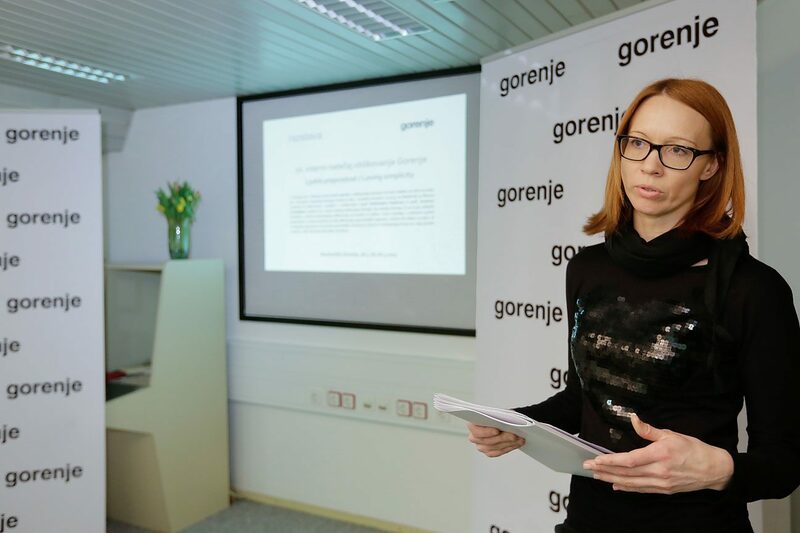 He carefully though about the entire life cycle of the service and the products it involves, including preparation of ready-made meals, distribution, use, re-use of material, and cooperation between different Slovenian companies. 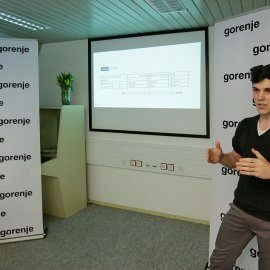 The author was also convincing in his presentation and in providing arguments to support his proposal. 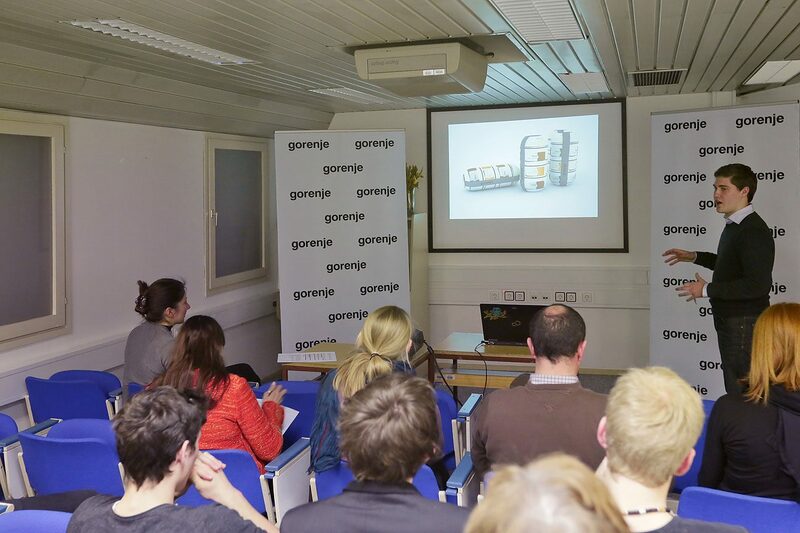 Winning proposal GoREnje impressed with an excellent analytical approach to seizing a known opportunity – i.e. the possibility of re-using used home appliances. 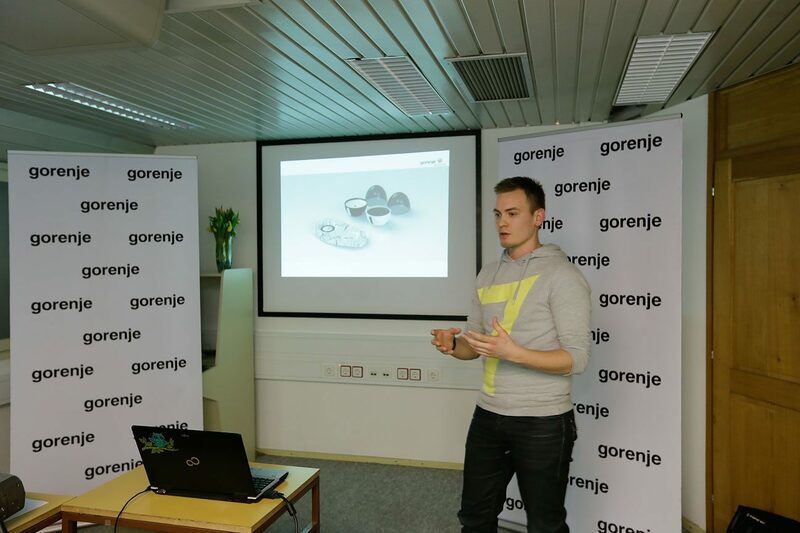 The author Žan Brezec identified the potential of the market segment of young customers who have found it increasingly difficult to reach financial independence in recent years. 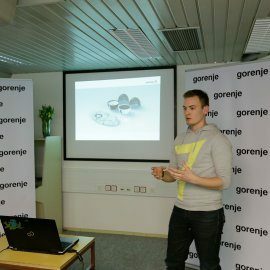 He developed a concept of a comprehensive service that allows the users to purchase a used Gorenje washing machine. 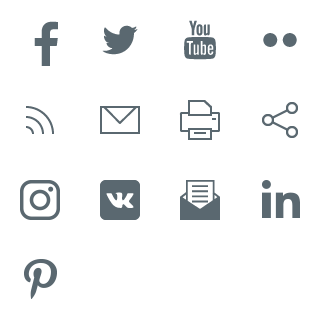 After passing a service examination, a product would be upgraded in terms of design with original aesthetic and user enhancements that would make the user's life simpler and more interesting, while posing less of a burden for the environment and the user's budget. 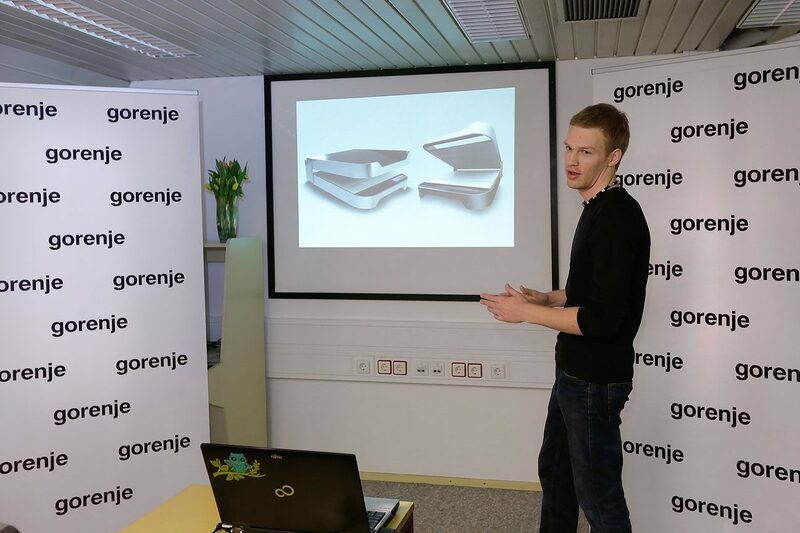 Žan Brezec also delivered an excellent presentation of his idea. 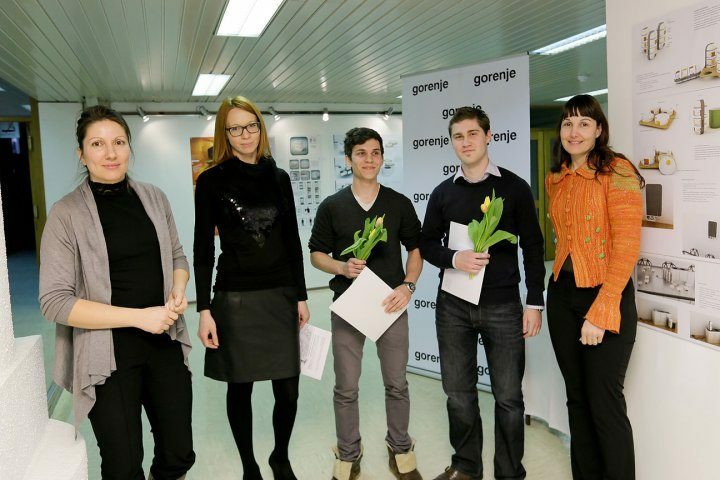 Gorenje held its first closed contest for industrial design students in 1988. 11 contests have been held to date, of which two were international. 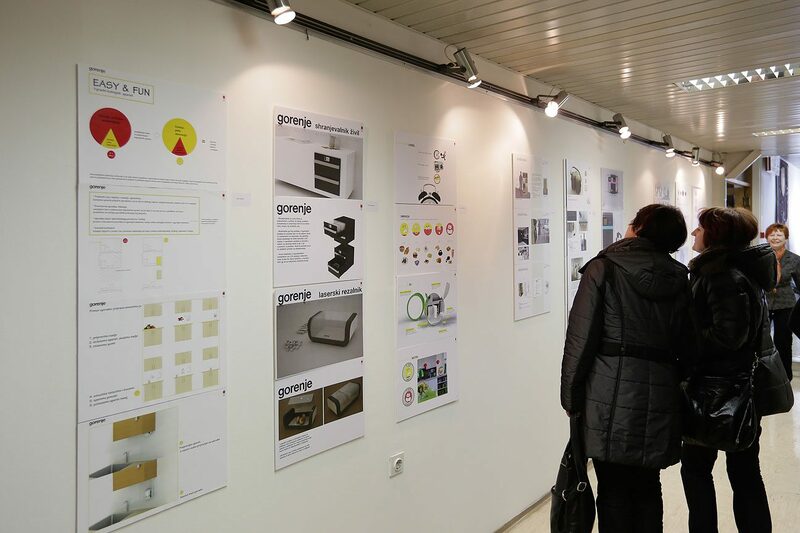 Through the years, the contests covered everything from designing small home appliances to developing a concept of the kitchen as a technological hub of the home. 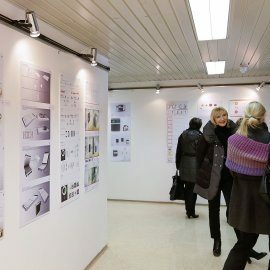 Design contests are contributing to the pool of ideas and the pool of potential human resources. 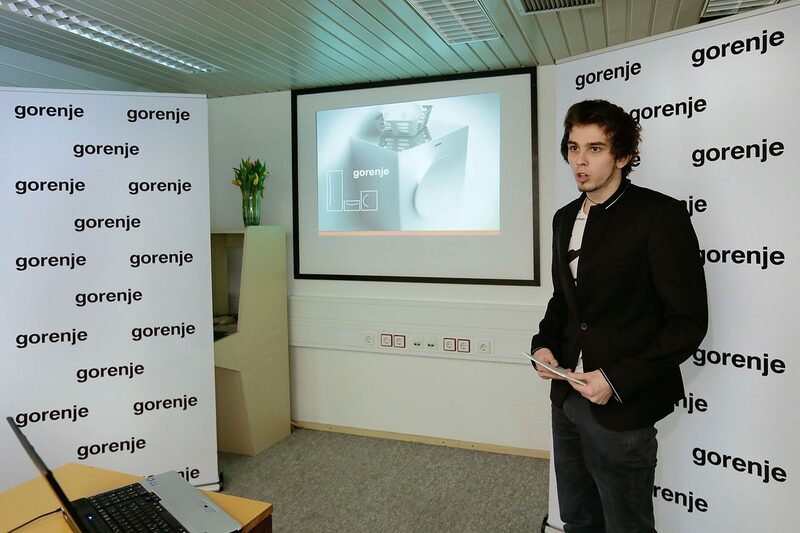 After completing their studies, the best students often are often employed by Gorenje. 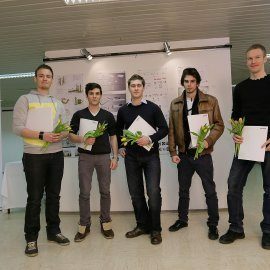 Thus, five young industrial designers have been hired from the ranks of promising young creative minds taking part in last three contests. 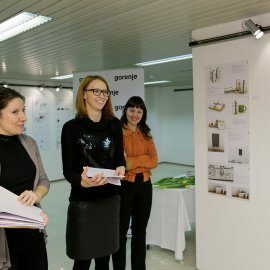 The exhibition of solutions for the 10th Gorenje Design Contest will be open until April 26, 2013, at the exhibition room at Gorenje's headquarters in Velenje. 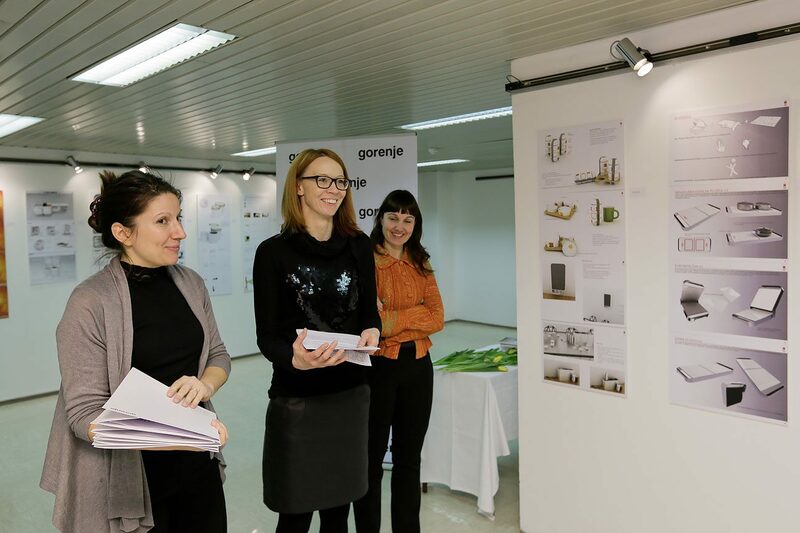 Gorenje exhibition room is open from 8 AM to 3 PM from Monday to Thursday and from 8 AM to 1 PM on Friday.